"Joining a Beard Club is a great way to meet new people, have a great time, and network. " 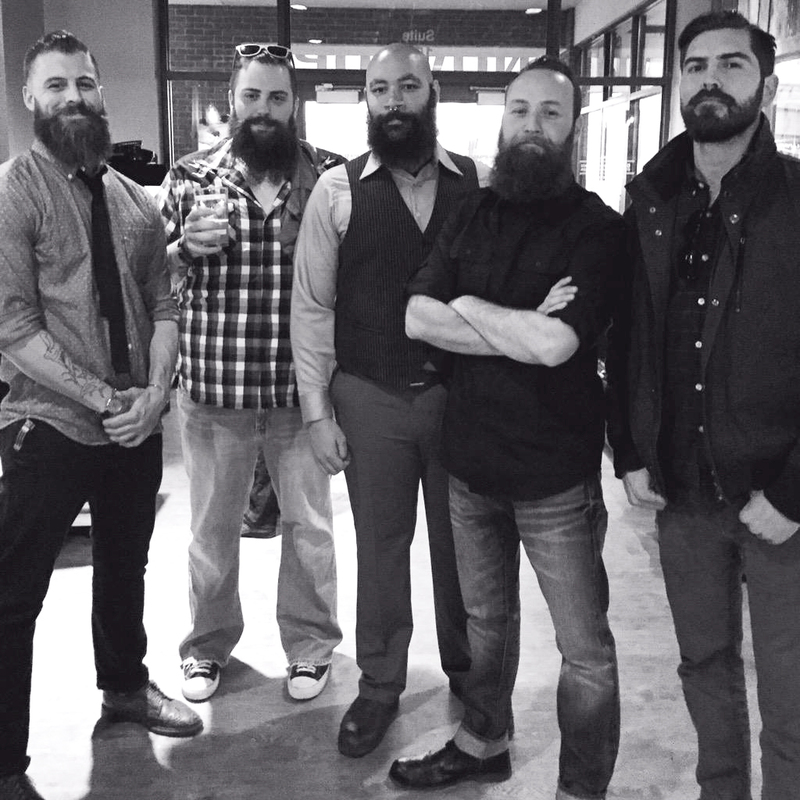 There are several cities that already have established beard clubs. As beards continue to grow in popularity you should consider joining one where you live. It’s a great way to meet new people, have a great time, and network. Here are some tips on how you can get yours off the ground. Start by making some connections with other beard bros in your town. If you have a sweet beard chances are you have a few buddies that do as well. In Columbus there were a handful of us that were getting together informally and we decided it was time to make it official. Time to start a beard club. 1. Take the lead. While four or five of us were kicking around ideas we were all fairly indecisive about a name, purpose, and general direction for the club. It was time to just start making some executive decisions and then let the club members vote on changes after it got established. That conclusion really set things into motion. A few of us decided on a name that could be changed later, Buckeye Bearders. 2. Create partners. We reached out to some local businesses that we felt might be interested in partnering with us. Specifically a men’s grooming company, craft breweries, a barber shop, professional photographers, and even a local band. We felt these businesses would benefit from the exposure and patronage of bearded fellas. We advertise for the business partners on our website and t-shirts. "In addition to a website, we created accounts on Facebook, Twitter, and Instagram to garner interest in the club. Reach out to local newspapers and magazines and see if they are interested in promoting the event. " 3. Coordinate a date and location for a launch party and use social media to spread the word. In addition to a website, we created accounts on Facebook, Twitter, and Instagram to garner interest in the club. Reach out to local newspapers and magazines and see if they are interested in promoting the event. Our club was fortunate that one of the co-founders is a graphic designer and a web designer. He created a logo and the website. 4. Consider having a consistent date for meet-ups so that it’s easy to remember. We chose the second Thursday of each month at rotating craft breweries in town. The rotation means that the drive is easier for some and creates more partners and some variety in the location. Most people are ready to get their weekend started on Thursday and are willing to come out and socialize. 5. Be open and welcoming. 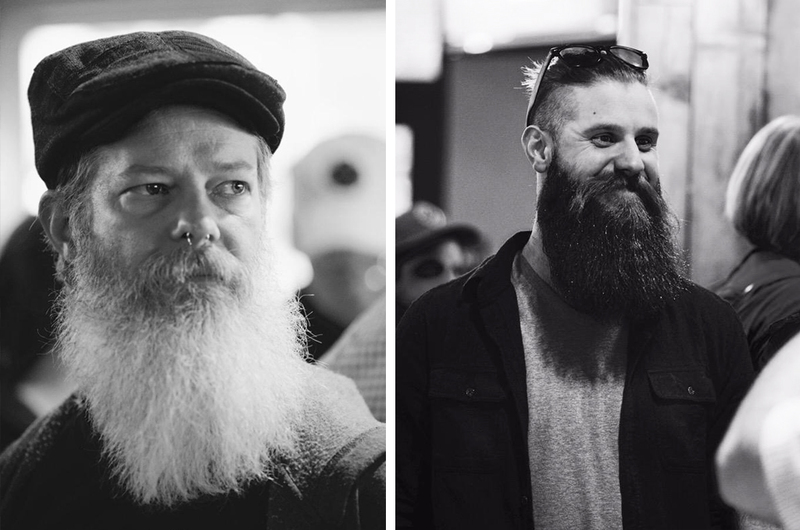 Beard clubs aren’t just for men and don’t have to be exclusive. Our club has been sure to communicate that our meet-ups are open to wives, girlfriends, partners, or just anyone interested in hanging out with fun bearded guys. Our launch party was a great mix of people, and even some ladies that came on their own. Everyone had a great time and couldn’t wait for the next event. "Invite a photographer. We all snap photos with our cellphone cameras, but they just don't tell the story like an experienced photographer. " 6. Invite a photographer. We all snap photos with our cellphone cameras, but they just don’t tell the story like a experienced photographer. We invite a different photographer to each meeting. So far they have been open to sharing their photos on social media in exchange for advertising and photo credit. 7. To due or not to due. Decide on whether to collect membership dues or not. They can be annual or monthly. We decided on a fee of $25 for the year to help get the club off of the ground. It gives one the sense of official membership in a group as well as creating some capital to help pay for initial outlay for shirts and website. We opened a bank account and use a credit card reader by Square to collect dues. As the club grows you may want a treasurer to keep the books. 8. Find members that are willing to take on tasks and head up projects. Once you are having social meet-ups you may want to create a group of officers or board members that meet for an hour before the social gathering to give the club direction and purpose. Choose a charity that can benefit from events and dues. Locally we chose Children’s Hospital to receive 20% of everything we do. Brainstorm about fun events like a 5K run, beard competitions, and a mission statement. 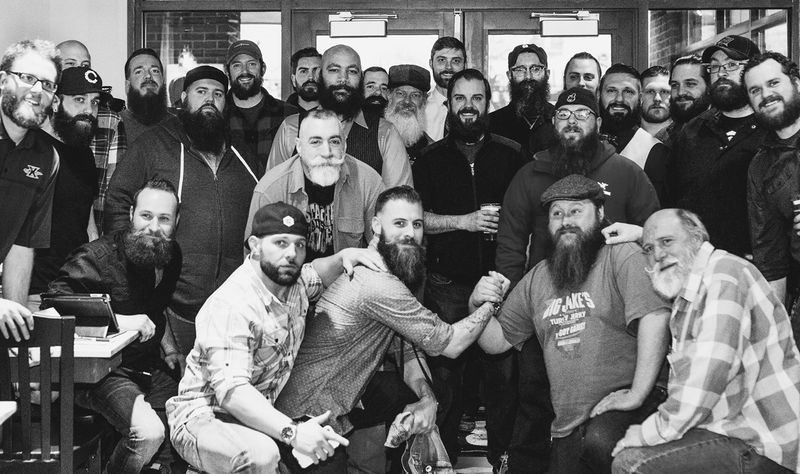 "Instant friendships were created, as well as networking opportunities with others that share your passion and commitment to the bearded lifestyle. " 9. Design logo’d gear. We were lucky to have a graphic designer on our team. We commissioned a local screen printer to create some shirts and they were extremely popular. Our goal is to roll out a new design at each meeting and the response has been overwhelming positive. We aren’t quite Sons of Anarchy, but we like to rep our club all the same. We also created new member kits that included local beard balm, recruitment cards and coupon codes for official gear. 10. Connect with other beard clubs. No need to reinvent the wheel if there are others who have created a club. In Columbus we connected with a group in Cincinnati called the Beard Barons. They had lots of experience to share and were glad to offer their advice. Several of their members even came to our launch party. Instant brotherhood. Our event was a huge success and we had 35 charter members officially join at the first meet-up. All of our business partners were there, and even a rockin’ band for entertainment. 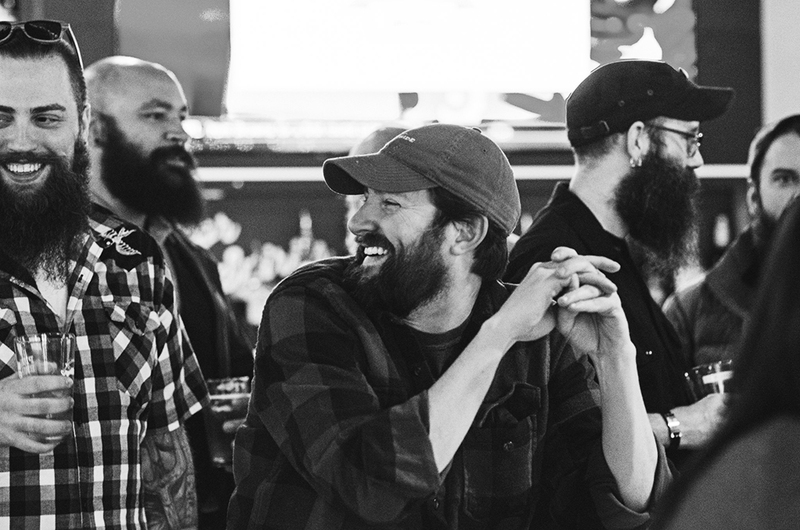 Instant friendships were created, as well as networking opportunities with others that share your passion and commitment to the bearded lifestyle. We’d love to help you get a club started in your hometown. Use the comment section below to ask questions, give a shoutout to your local beard club, or share some of your experiences! Thank you for the information. I am new to the awesome life of having a beard. I have been growing mine for about 5 months now. I have looked into beard clubs here where I live with no luck. So, a friend and I are looking to start the first one in our area. This article has helped me get a idea of how they work. Hey Justin. Just wondering if you had much susccess in starting the club in your area.? I was thinking of doing the same in mine and wanted to see If you ran into any challenges and some of the things you did. Hey Justin. Im wondering wondering the same thing if you had much susccess in starting the club in your area.? I was thinking of doing the same in mine and wanted to see If you ran into any challenges and some of the things you did. Appreciating this article so much, and am working towards pulling together a club in my area. I am wondering if there are any other areas that a club can cover in a meeting? I am all for the community involvement, and charity work. However, I am feeling that after those matters are discussed and planned, we could fall flat. Any other suggestions that can keep this club well rounded?